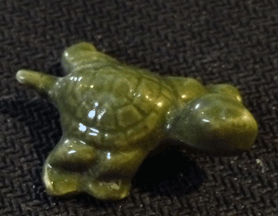 This little bone china tortoise is just about 3/4 of an inch long and a half inch wide. It weighs. 0.1 oz. 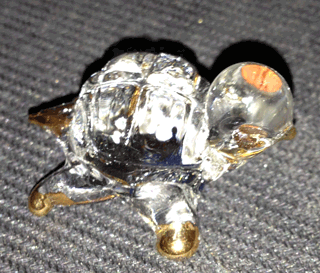 My research leads me to believe it was made in Japan for Bug House, but there is no maker's mark anywhere on the piece. It is over 30 years old, with no chips. Good condition. 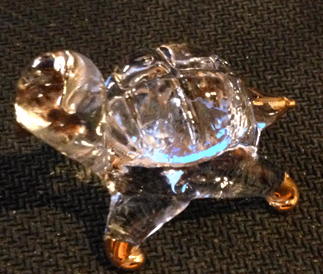 The tips of this little tortoise's nose, tail, and feet look to have been dipped in gold leaf. The eyes are also carefully painted gold. 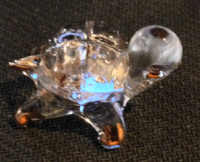 It is a pristine little piece, glossy and shiny, and the glass is very clear. It's about 3/4 of an inch long and and 3/4 of an inch wide, due to it's splayed feet. It weighs 0.4 oz. 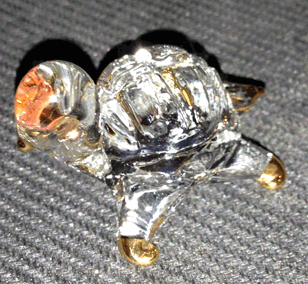 A delightful, dazzling little piece of crystal blown glass when displayed under the light. The pictures do not do it justice. 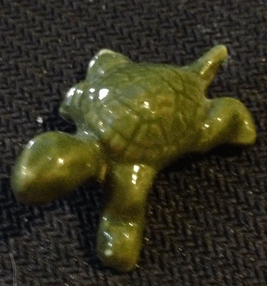 There is no maker's mark on this turtle. 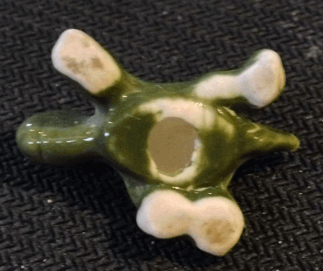 The piece is over 30 years old.